It's been more than 14 months since Suriya's last film, Thaanaa Serndha Kottam, helmed by writer-director Vignesh Shivn, released on 12 January 2018. This is the longest period in nearly decade in Suriya's career when he has not had a single release for more than a year. 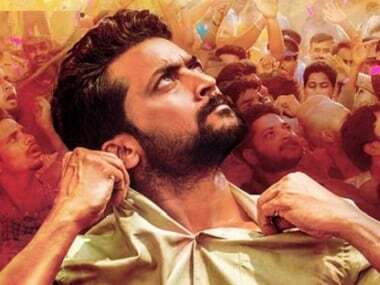 As fans eagerly await his long-in-the-making political film NGK, directed by ace filmmaker Selvaraghavan, Suriya is busy working on multiple projects, as an actor and a producer for his home banner 2D Entertainment. Even in this long gap, Suriya tasted massive success through his fifth production, Kadaikutty Singam starring Karthi and directed by Pandiraj. The film hauled in a lifetime gross of nearly Rs 54 crore in Tamil Nadu alone last year and registered more footfalls than Superstar Rajinikanth's Kaala. It was also the biggest profit earner of 2018 in Tamil cinema based on ROI (Return on Investment). NGK has Suriya in the lead and is produced by SR Prabhu's Dream Warrior Pictures. The film stars Rakul Preet and Sai Pallavi alongside Suriya and has music composed by Yuvan Shankar Raja. The makers have now officially confirmed the film's release date as 31 May. The team is likely to announce the audio launch date soon as the next update. NGK carries excellent buzz in the trade since it's been more than five years since Selvaraghavan's last directorial Irandaam Ulagam saw the light of day in November 2013. Selva's other two completed projects in Santhanam's Mannavan Vanthanadi and SJ Suryah's Nenjam Marappathillai are still battling a financial quagmire. Suriya is currently busy with the final leg of Kaappaan. Recently, the makers shot a riveting action sequence in Visakhapatnam, Andhra Pradesh for a period of four to five days. 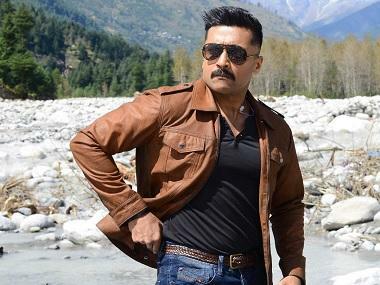 The shooting of Kaappaan, which is bankrolled by Lyca Productions, is on the brink of completion. The action-thriller, which reportedly features Suriya in the role of a chief security officer to the Prime Minister, is directed by KV Anand. The project marks the third collaboration between Anand and Suriya following the blockbuster Ayan and the ambitious Maattraan. Kaappaan also stars Mohanlal, Boman Irani, Arya, Sayyeshaa, Chirag Jani and Samuthirakani in pivotal roles. Harris Jayaraj has composed the music for the film, which is jointly written by Pattukottai Prabhakar, Kabilan Vairamuthu and KV Anand. The makers are aiming to release the movie for the Independence Day weekend this year. Meanwhile, the post-production work of Suriya's next film, fondly called by fans as Suriya 38, directed by Sudha Kongara of Irudhi Suttru fame, is going on in full swing. The film is based on the life of Air Deccan founder and a retired captain of the Indian Army, GR Gopinath. The project is jointly produced by Suriya's 2D Entertainment and Guneet Monga's Sikhya Entertainment, which was in the headlines recently for co-producing the Oscar-winning documentary short Period. End of Sentence. 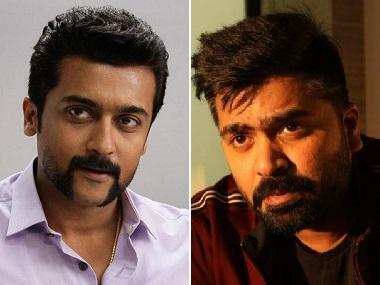 Suriya 38 also marks Sikhya's foray into Tamil filmdom. GV Prakash has already completed the entire album for Suriya 38. In a recent interview, GVP has confirmed the same saying, "I completed the entire album long back. In fact, I had promised Sudha that I would finish all the songs before we go on floors. It will be an entirely new and fresh collaboration. I have a lot of surprises for fans in the soundtrack." The shooting of the film is expected to kickstart from end-April or early-May. On the production front, Suriya's next offering would be Uriyadi 2, a proper sequel to the acclaimed 2016 political action thriller Uriyadi starring and directed by Vijay Kumar. The sequel is also helmed by Vijay, who plays the lead role. The team is tentatively planning to release the film on 5 April, according to reliable sources. Speaking at the film's audio launch, Suriya said, "Uriyadi 2 will not just educate. It will disturb you all. It will shake you. Our audiences have always supported good films. I'm sure they will extend the same support to Uriyadi 2 as well. It speaks about an important issue and everyone should watch the film." Suriya's 2D also bankrolls Jyotika's untitled under-production film directed by Gulebaghavali fame Kalyan. Tipped to be a comedy thriller, the film also stars veteran actress Revathy in an important role. Yogi Babu, Mansoor Ali Khan, and Anand Raj form the supporting cast of the film, which marks 2D's third production featuring Jyotika after her comeback super-hit 36 Vayadhinile and Magalir Mattum. Another recent update that has left fans excited is Suriya playing a special cameo role in Madhavan's Rocketry: The Nambi Effect. The film based on the life of former senior ISRO scientist Nambi Narayanan marks the directorial debut of Madhavan, who plays the titular role.